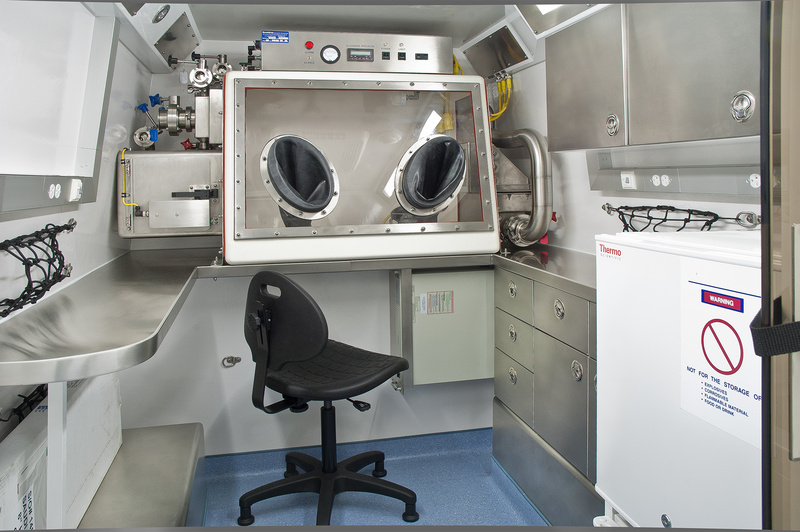 Germfree’s Van Labs provide quick access to remote locations as well as easy maneuverability in urban areas. 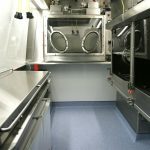 These compact mobile laboratories accommodate a small team of personnel who must gain access to incident sites quickly. 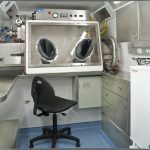 The Germfree Mobile Van Lab model is based on a 4 meter long Sprinter van that is easy to maneuver in tight city streets or narrow, unimproved roads. 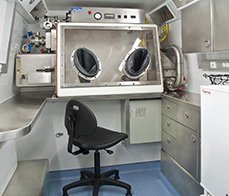 Samples can be prioritized for rapid testing in the field or safely transported to another facility. Additionally, this world recognized platform is ideal for international applications. 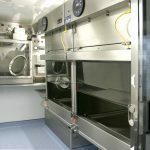 Germfree has specifically designed this platform for applications requiring the integration of primary containment equipment such as biological safety cabinets and fume hoods into a compact space. 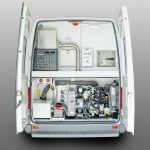 Commonly configured with a Class III BSC in a BSL-2 laboratory environment, Van Labs offer a small, safe and efficient platform for on-site analytical and processing applications. 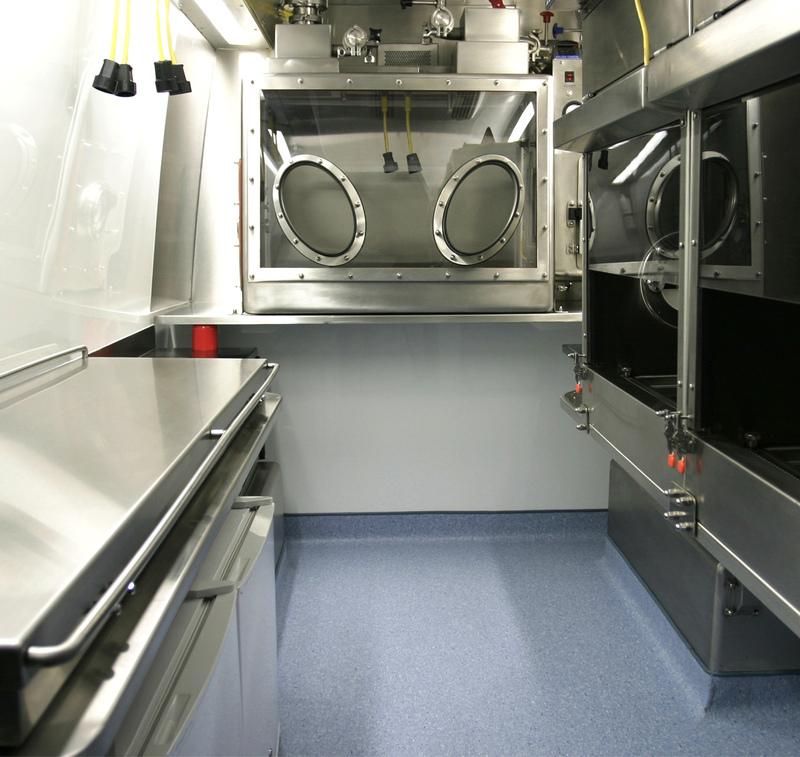 Germfree installs a relatively large amount of containment equipment into this small, self-sufficient laboratory to facilitate sample collection, rapid testing and sample packaging for safe and secure transport to a strategically based reference lab. 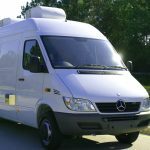 Mobile Laboratories support a wide variety of applications performed by Departments of Agriculture, Departments of Environment, Public Health Laboratories and First Responders. 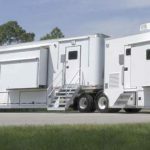 Rapid deployment of properly equipped mobile units are vital to operations that prevent further transmission of disease and help maintain quarantine zones. 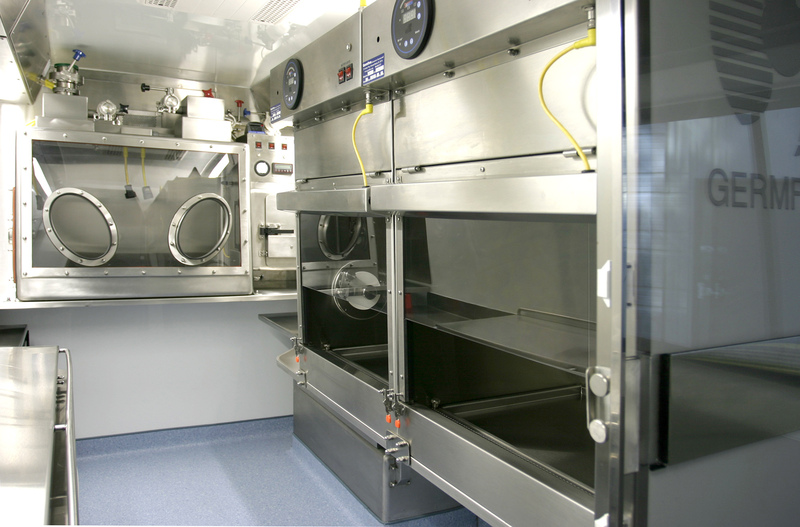 In high-consequence disease outbreaks Germfree Van Labs provide flexibility, speed, analytic reliability and safe sample handling and transport. 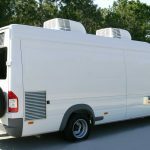 Germfree’s mobile laboratories are ideal for a range of environmental assessment and monitoring operations as well as analytical testing for mining, petroleum, industrial and specialty applications. 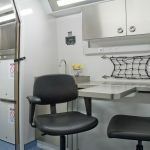 Forensics Mobile Labs: Compact and agile unit with biological and chemical safety equipment required to assess crime scenes and properly contain suspicious materials and maintain chain of custody. 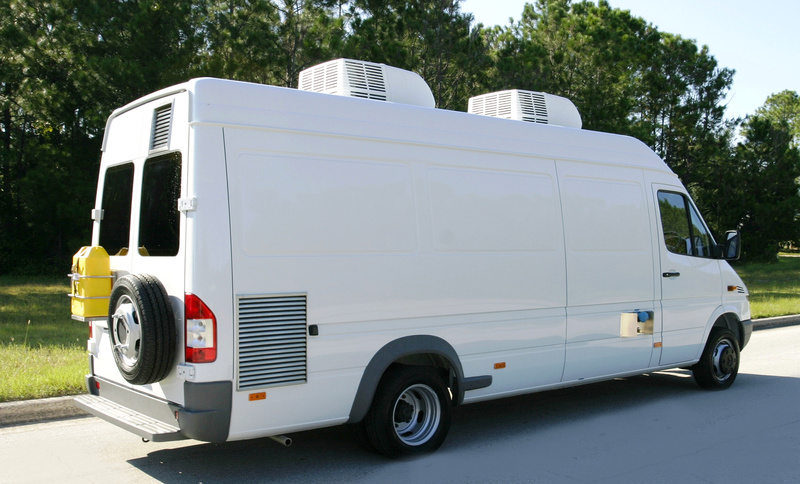 Outfitted into a Sprinter Van platform. 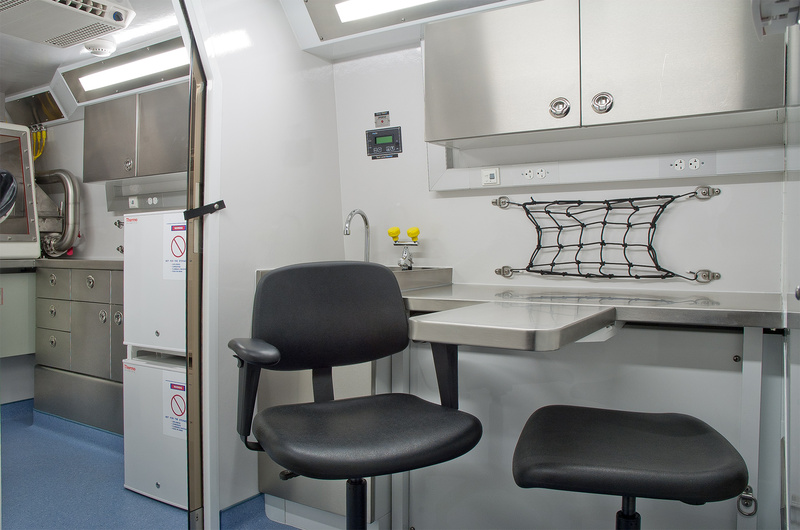 Public Health Mobile Labs: Sprinter Van unit outfitted with biological safety equipment required for public health surveillance and testing. 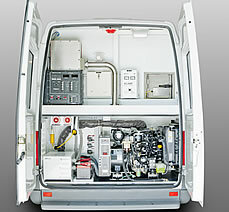 Proper sample collection, analysis and transport is assured. First Responder Labs: Ideal rapid response unit equipped for CBRNe detection and on-site threat assessment. 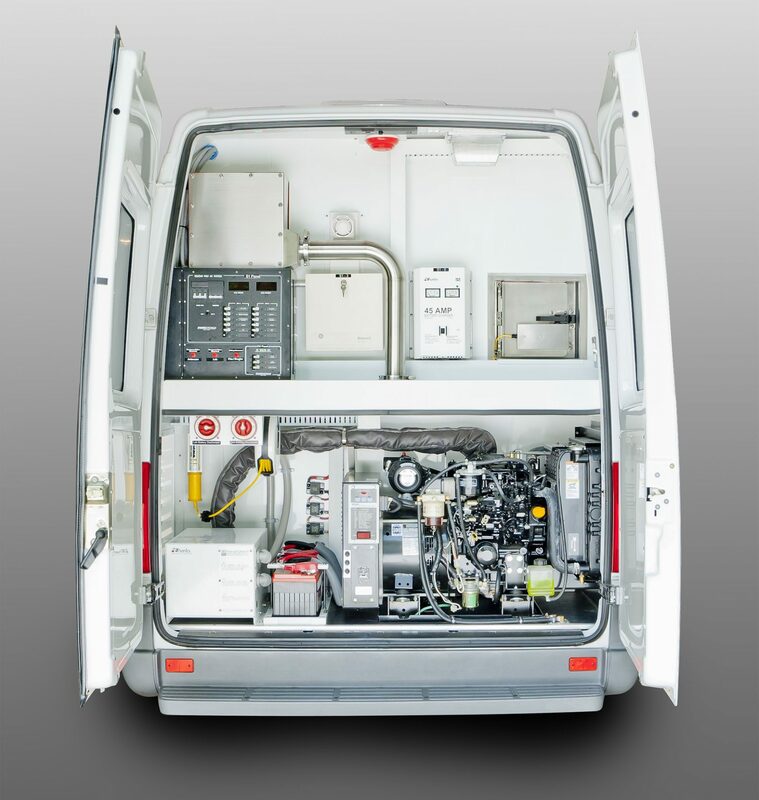 Vehicles can be equipped with detection and analytical instruments. 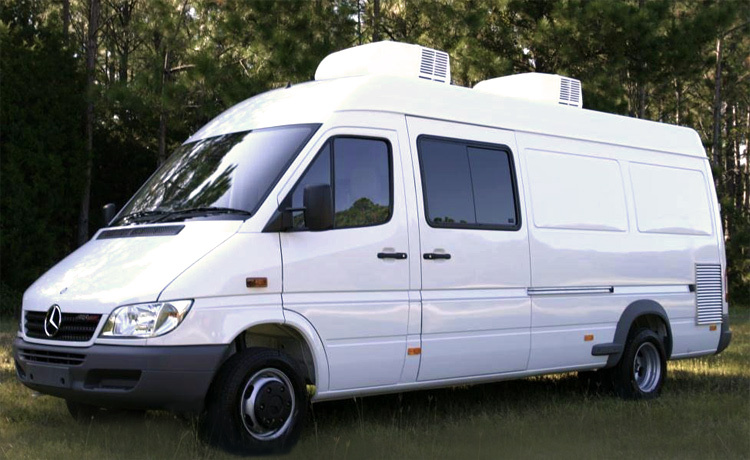 Sprinter Van platform.